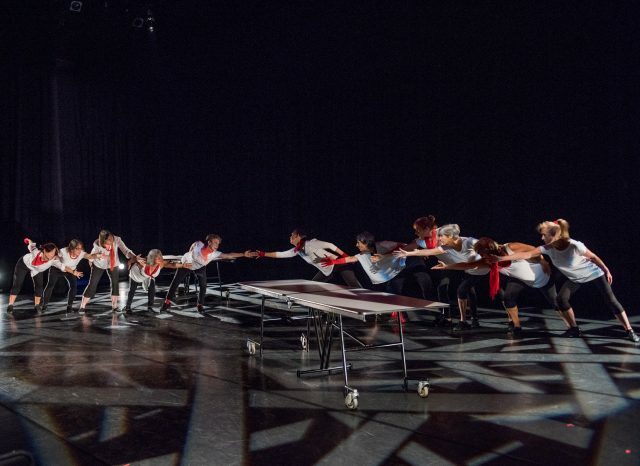 Community-engaged dance residencies at the Park Board bring together non-professional movers of all ages, sizes, dance abilities and cultural backgrounds to work alongside professional dance artists creating, practicing and performing dance. They are working collaborations between professional dance artists and community members who might not think of themselves as dancers and choreographers. Community-engaged dance recognizes all participants as important contributors to the collaborative process – together, artists and participants explore creative movement and develop work that is important to them. The Ageless Dancers are an inclusive community of older adults who create, practice and perform in ways that honour the aging body, affirming and celebrating the unique experiences of later life. In a series of weekly workshops, adults over the age of 55 explore the creative and interactive potential of their physical, mental and emotional selves through dance using movement and voice. Their work together is sourced in the knowledge, stories and experiences held in the mature body. From 2018-2020, the Ageless Dancers are working with artist Heather Lamoureux. Heather Lamoureux is an uninvited guest on the Coast Salish Territory of the Musqueam, Squamish and Tsleil-Waututh nations. Here she is a producer, artist and facilitator. Her work stems from her relationship with the earth and the determination to walk with generosity. Heather is the Artistic Director of Vines Art Festival, Community Outreach Co-Coordinator at Raven Spirit Dance and works for other performing arts organization including the PuSh International Arts Festival and Dancing on the Edge. 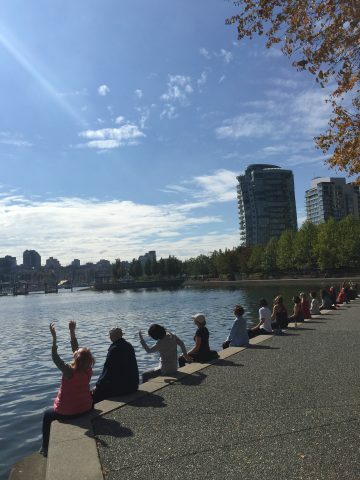 She is trained in Expressive Movement Therapy from the Tamalpa Institute under the instruction of Anna and Daria Halprin and uses this practice with youth in foster care as well as running various youth programs throughout the lower mainland. Currently being mentored by Cease Wyss at Harmony Gardens on community Engagement in Sḵwú7mesh, she also volunteers at BC Crisis and Suicide Prevention Centre and at Kwekwecnewtxw – Coast Salish Watch House. Heather holds a BFA in Dance with a Minor in Business Administration from Simon Fraser University.